Ceiling Mate Decorative Architectural Crown Moldings & Wall Moldings including Wall Moulding, Architectural Crown Moulding, Interior Crown Moulding, Cornice Molding and Polystyrene Crown Moldings. KC Duct Services provides the GTA and the Durham Region with professional Duct Cleaning Services. We do duct cleaning, furnace cleaning, AC coils, dryer vent cleaning, central vac cleaning and HEPA / electrostatic filters. Phoenix Mid-Rise Panel provides crane services to the Durham Region and surrounding regions. Professional, Fast, Dependable Mid-Rise Panel Crane Services At Phoenix Mid-Rise Panel Inc.
Grass Gods Property Maintenance provides professional, affordable, lawn care and property maintenance to the Durham Region and surrounding areas. Basic landscaping services and more. 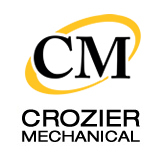 At Crozier Mechanical if you can draw it, we can make it. Professional mechanical services since 1996. Full Mechanical services including custom metal fabrication, millwrighting and more. Pro-Tect Asphalt has over 30 Years of Experience in the Pavement Industry! Pro-Tect Asphalt provides products including spray systems, asphalt crack repairs, line striping, asphalt equipment, blowers, sweepers, sealers and more. RK Flat Roofing the professional Flat Roofing company. We specializing in TPO Flat Roofs. RK Flat Roofing provides all flat roofing services to Durham, the GTA and surrounding areas. Call us today for a free quote. BCD provides the Durham Region and surrounding areas with small engine repairs. At Barkhouse Custom Designs we service small engine jobs including snowblowers, snowmobiles, lawn mowers, saw chainsaws and much more.